USS Arizona shown on December 7, 1941 when the U.S. was attacked at Pearl Harbor by the Imperial Japanese Navy ~wikipedia.. Both, however, had much in common. 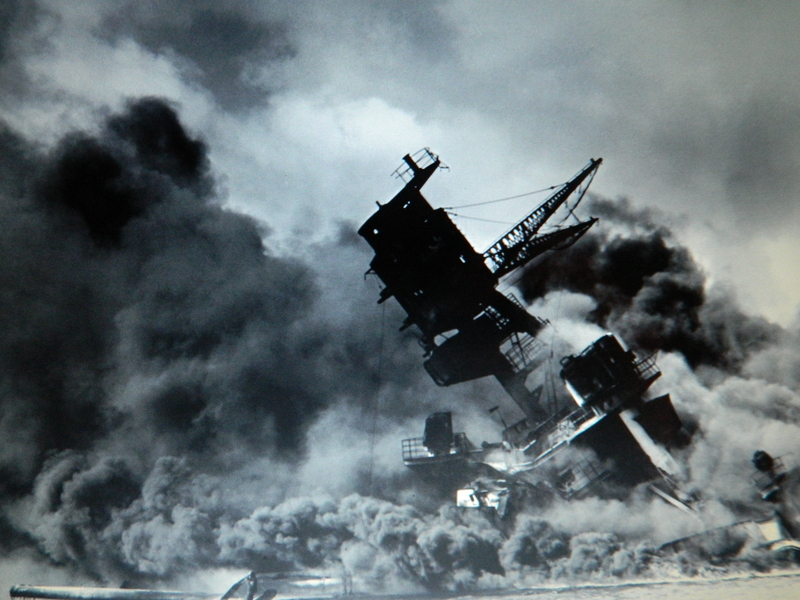 Their lives were significantly impacted by the December 7, 1941 surprise attack on Pearl Harbor by the Japanese Imperial Navy ~ which led to the entrance of the United States into World War II. They were raised by families dedicated to the principles of decency and integrity, American democracy, the tenets of freedom and liberty. They both became W.W. II fighter pilots – Pres. 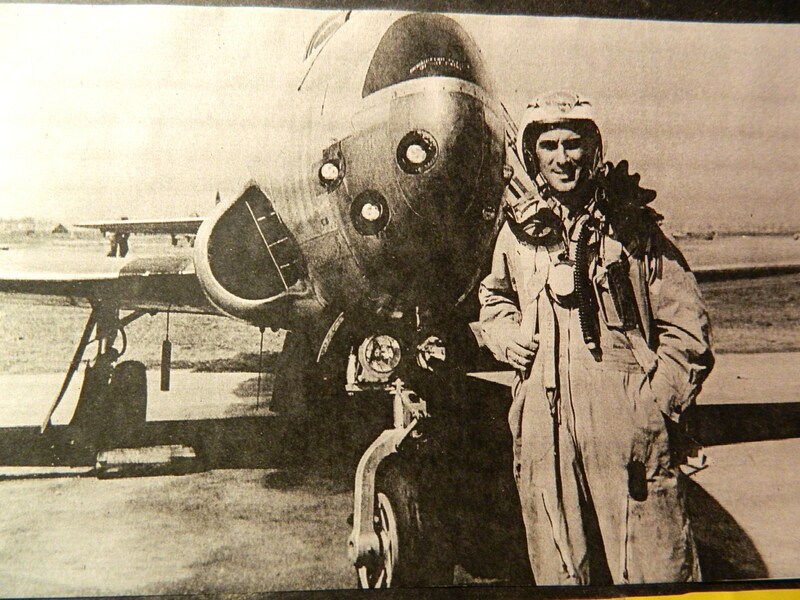 Bush a naval aviator, Uncle Bunker, Army-Air Force. Both put country before self. Both were part of what has become known as “The Greatest Generation” ~ the generation that saved the world from the tyranny of German dictator Adolf Hitler and the Axis powers of Italy and Japan. It seems quite fitting that the funeral services for Pres. Bush, in Washington D.C. and then in Houston, Texas where he moved his family, immediately preceded the Dec. 7 anniversary of Pearl Harbor Day. Pres. Bush also served as vice-president of the U.S., an ambassador to China, head of the CIA and in Congress. First though, he was a young American military aviator, a W.W. II fighter pilot who survived being shot down and went on to fly multiple combat missions. Laid to rest at the Bush Presidential Library in Texas next to his beloved wife Barbara, and Robin, the daughter they lost to leukemia at age 3, Pres. Bush is said to have requested a simple marker with his Naval number on it. Uncle Bunker rose in the U.S. Air Force ranks, reaching the rank of major. He was stationed on Cape Cod where he kept watch over the safety of the Atlantic seaboard. Subsequent to his combat missions, he flew cover for the Berlin Airlift and later he continued to put service first volunteering for risky assignments, testing experimental aircraft. He died in service to the nation during one of those tests and is buried in Arlington National Cemetery. We are losing our W.W.II veterans to the inevitability of aging and death. They, who as young men, stormed the beaches of Normandy and liberated concentration camps. Perhaps it is because we have a family connection to those who served in W.W. II, perhaps it is because both Pres. Bush and Uncle Bunker served as fighter pilots, but watching the farewell to the former president ~ I felt it ~ these goodbyes were more than an honor for a strong leader known as a “gentleman” on the world stage. They were a symbolic final homage to that generation, a generation that exemplified the best of the American spirit, who stood together to fight for what was right. We bid you adieu Greatest Generation with our sincere gratitude.